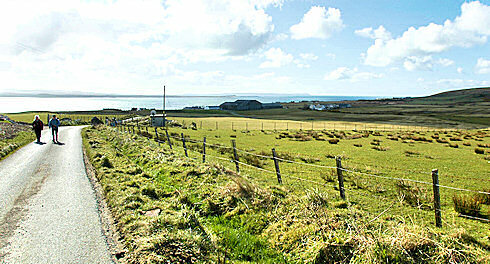 The first one is for Conisby Farmhouse, a 3 bedroom self catering farmhouse just above Bruichladdich. The picture above is a view over Loch Indaal from near Conisby, which should give you an idea of the area. There isn't much more I can say about it, just visit the website if you're interested. If you're interested in Bruichladdich you will quite possibly know the real Bruichladdich Blog. Now there's another Bruichladdich blog, the The “Officially Unofficial” Bruichladdich Blog. The author writes about whisky with a large focus on, yes, no surprise there, Bruichladdich Islay Single Malt. That's about it. Check it out if you're interested. If you've got any further suggestions or recommendations for Islay (or Jura, Colonsay or Gigha) related websites feel free to let me know and I'll see what I can do.